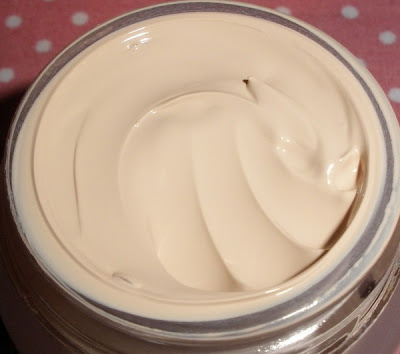 *drumroll* Today I would like to present you my new Holy Grail foundation. Finding a perfeect foundation for me is really something like the quest for the unicorn! Being blessed/cursed with super pale skin the lightest shade in the majority of foundation ranges is just a bit too dark. Yea, thanks! I order Japanese foundations from time to time hoping they will fit but alas I am usually disappointed as the color rarely matches well. 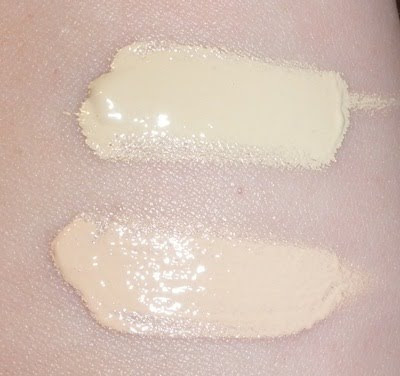 So far Shiseido´s Maquillage line had the best foundation but those suckers decided to make my color OC-00 2 shades darker so the newest generation foundations don´t match anymore. Also while OC-00 was really light enough it had a light yellow tint and usually slight pinkish tones suit me a little better. Integrate Gracy is actually targeted to more mature women (so call it the older sister of Integrate) but that doesn´t prevent me from purchasing the products as so far everything I bought was of good quality (I love the face powder!) and the things are cheap and come in a very basic but nice packaging. Quite a nondescript brand at first sight but you can find some treasures from it! 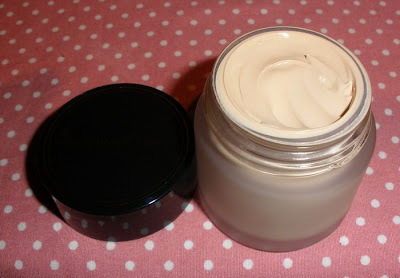 I ordered my Integrate Gracy Cream Foundation Moist on Ebay from Alphabeautyuk for US$21.95 + shipping. The pic shown in the auction looked promising but honestly I had no high hopes that the foundation would match. 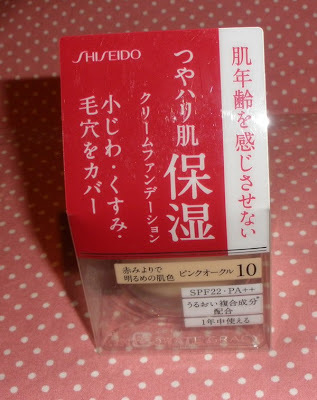 After all I tried Shiseido´s Aqualabel foundation in PO-10 and it was too dark/orange. When the foundation arrived I was a bit surprised by how tiny the pot is. Quite a bit smaller than the pot of Maquillage´s Moisture Cream Foundation I received a few months ago (and which was a huge disappointment as OC-00 was so dark!). I don´t know how many grams the MQ foundation contained though. The foundation contains 25g. I can´t seem to find the retail price online. I would guess somewhere around 1500-1700 Yen? 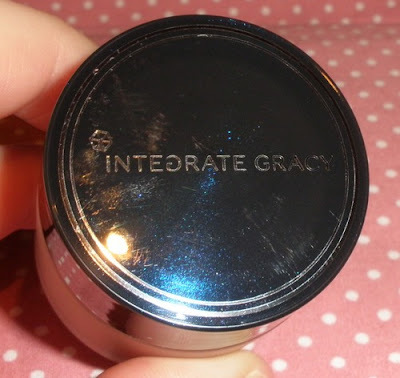 The pot is made of glass with a deep shiny blue cover that just says "Integrate Gracy". All the box and the label on the bottom of the pot are printed in Japanese only. 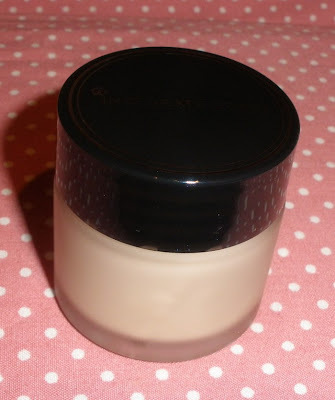 The foundation is a nice cream with a medium weight and about medium coverage. 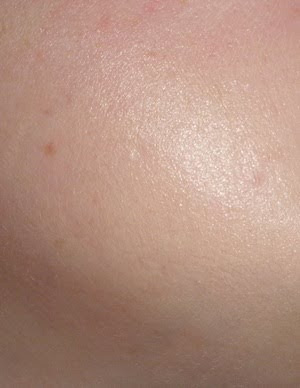 The foundation leaves a slight sheen and feels very nice and moisturizing but not heavy or greasy in my opinion. Now for the drier skin I suffer from in winter it´s perfect. I am not sure how I will like this in summer but I think it will well work for a warmer season, too. I might give the liquid foundation a try, too! 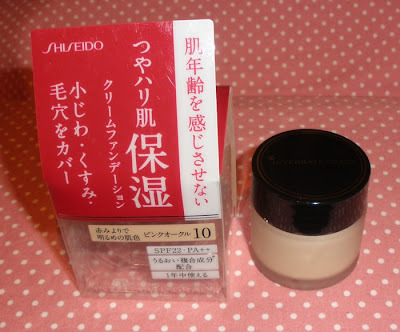 It doesn´t irritate my skin at all but most Japanese foundation are very compatible with my skin. Also this is fragrance-free and has an SPF of 22 PA++ which is always a plus, too! Now on to the color. It´s just perfection! It´s a very light rosy beige that is oh so wonderfully blending into my skin! PO-10 is the best color match I found so far. I am sure I will stock up on this foundation eventually and will continue using this in the future! If you have pale skin like me and normal or dry skin I highly recommend checking this little gem out! 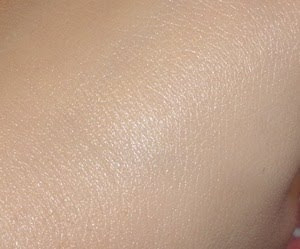 The foundation on my hand and blended out. The 3rd pic shows the foundation blended on my chin (only a super tiny amount, maybe about 1mm) but it´s only applied on the bottom half of the pic so you can see it blends perfectly. 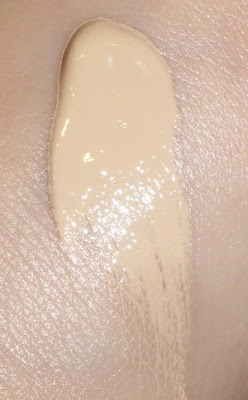 Here is a swatch, the top is my former HG foundation Maquillage Moisture Climax Gel which is an excellent foundation but has been discontinued so I had to find an alternative. yay for finding a HG foundie! It sounds great too, but my skin type and skin color is far from yours :X Almost a total opposite! by any chance do you know if Japanese foundations say oil free or non-comedogenic? I get scared buying or trying any Asian foundations because I never know if they will clog pores and make me breakout.